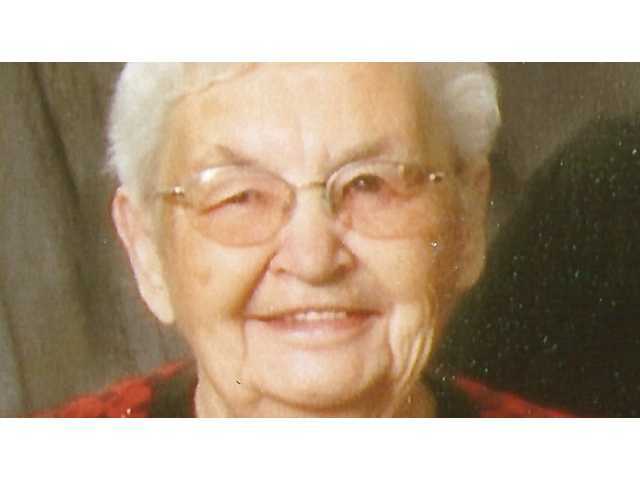 POSTED February 6, 2019 2:19 p.m.
Clarabelle Horner, 98, of Gays Mills, died Saturday, February 2, 2019 at Soldiers Grove Health Services surrounded by loving family and caregivers. Funeral service for Clarabelle will be on Thursday, February 7, 2019 at 11 a.m. at the Luther Memorial Church in Gays Mills. Pastor Carrie Anderson will officiate with burial after the service in the Gays Mills Cemetery. A luncheon will then follow at the Gays Mills Community Center on Hwy 131. Friends may call during a visitation for Clarabelle on Wednesday, February 6 from 4 to 7 p.m. at the Vosseteig Funeral Home, 325 Sunset Ridge Ave and Hwy 131 in Gays Mills or on Thursday from 10 to 11 a.m. one hour before the service at the church. In lieu of flowers or plants memorials should be directed to Luther Memorial Church of Gays Mills in Clarabelle’s name. The Vosseteig Funeral Home in Gays Mills is assisting the family with arrangements.